The report advises that record-keepers invest in solutions that facilitate a positive customer experience. 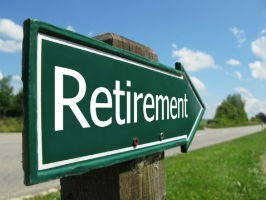 Fueled by the huge wave of boomers transitioning to retirement, investments in individual retirement accounts grew by 17 percent last year, boosting total IRA assets to $6.5 trillion and rollover assets to $324 billion, according to new research. Cerulli Associates unveils this finding in “Retirement Investor 2014: Understanding 401(k) Participant Behavior and Trends in IRAs, Rollovers and Retirement Income.” The report examines retirement decisions made by individual investors throughout their retirement planning lifecycle, giving particular emphasis to 401(k) plan participants, IRAs and rollovers, and retirement income. “We anticipate that IRA asset growth will continue through the remainder of the decade as defined contribution assets continue to roll into individual accounts,” adds Cerulli Analyst Shaan Duggal. The report recommends that recordkeeping firms transition from retirement planning to personalized financial planning. Record-keepers should also endeavor to keep assets within the 401(k) market by touting the competitive benefits of employer-sponsored plans and by engaging individuals who are changing jobs. This strategy, the report suggests, will yield a faster growth of assets than an increase in contribution rates.